We were very happy to literally stumble upon the “Sapna” project last night. 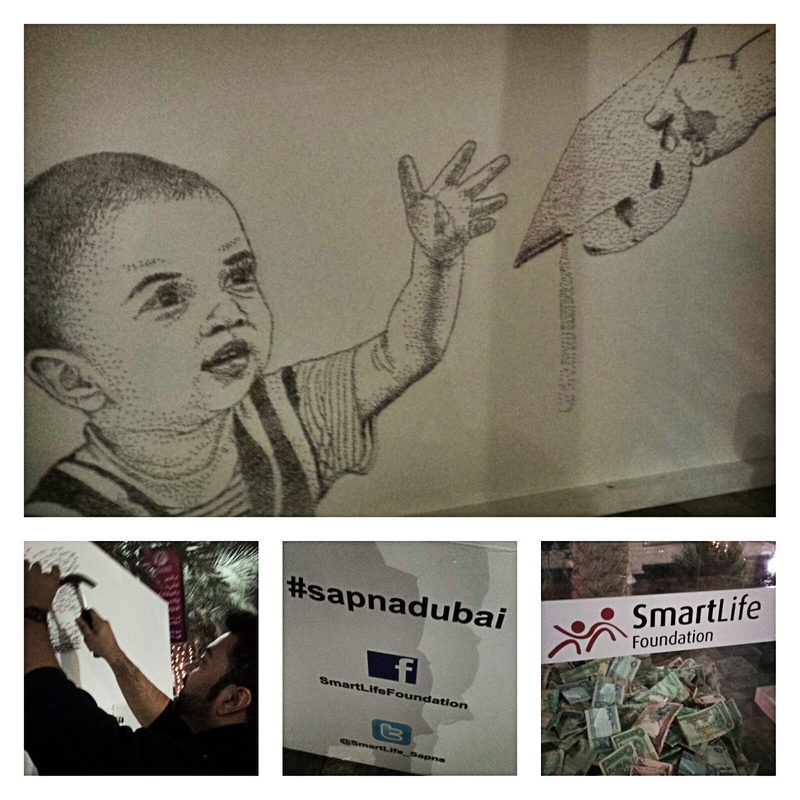 It is lead by the Smart Life Foundation which is a registered NGO in the UAE. 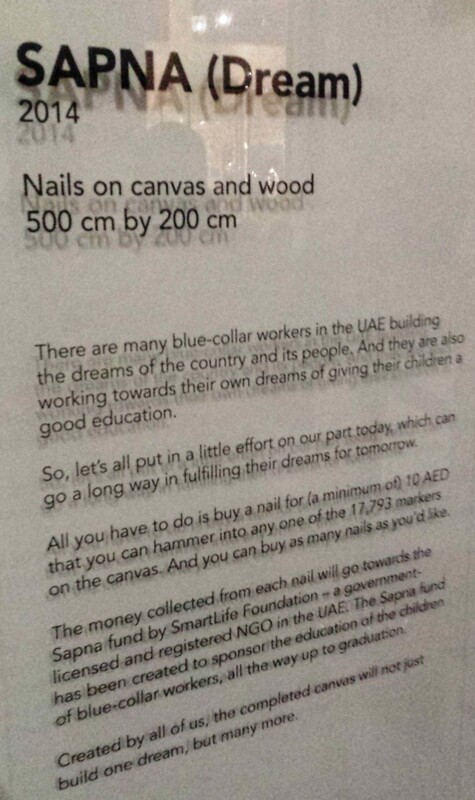 The idea of this project is that participants buy nails for AED 10 each then hammer them into the wall to help complete the lovely piece of art depicting it’s mission. 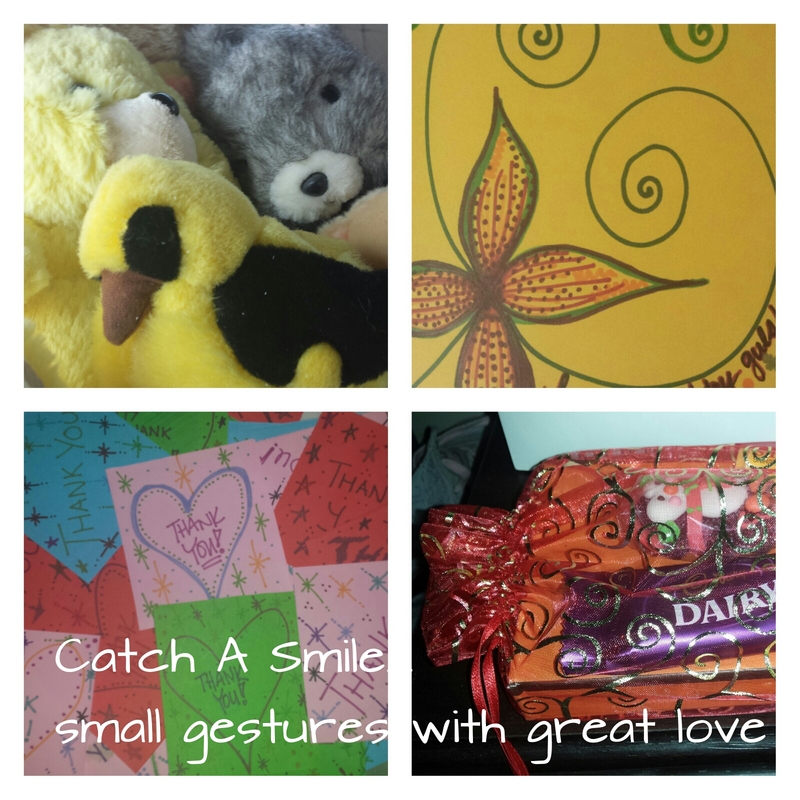 All proceeds are used to help the children of laborers go to school. The wall is currently stationed on JBR near the Ritz Carlton Hotel roundabout. They will only be there tonight and tomorrow. For more details about the project, please read the following…. 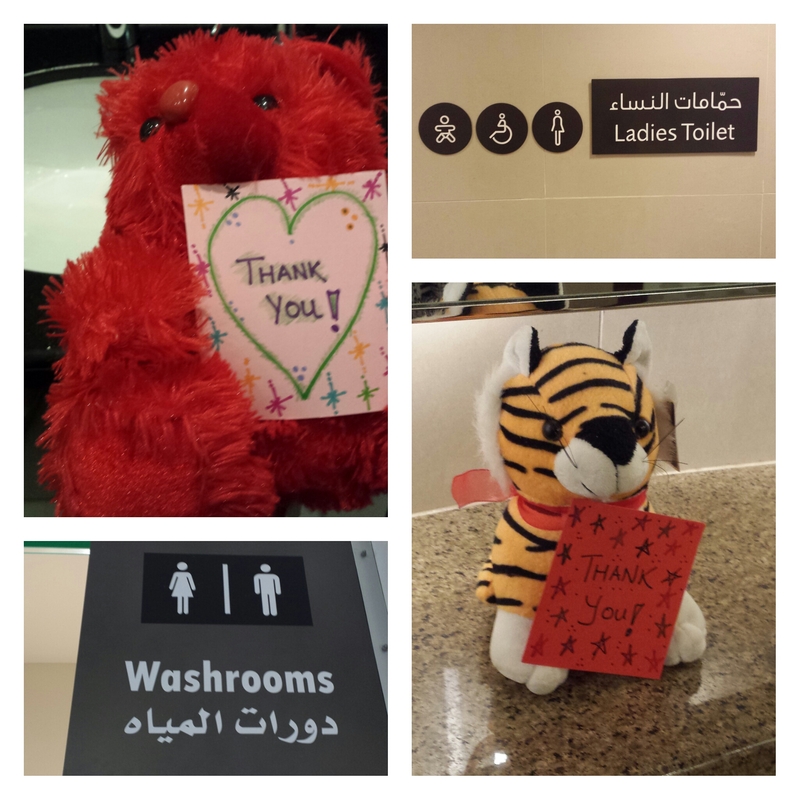 We were happy to take part in this wonderful initiative! 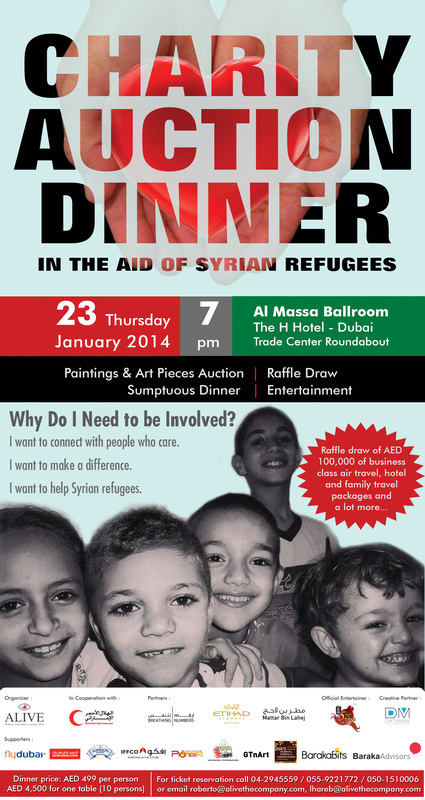 Alive Events in cooperation with UAE Red Crescent and in collaboration of ‘Breathing Numbers’ present ‘Charity Auction Dinner for the Love of Syria’ at Al Massa Ballroom, The H Hotel, Trade Center Roundabout, Sheikh Zayed Road, Dubai on Thursday, January 23, 2014 from 7:00pm onwards. The recipient of this noble undertaking are the Syrian Refugees in the Syrian camps within Lebanon and Jordan borders. There are millions Syrian refugees into neighboring countries with thousands more pouring across Syrian borders. Around 50 percent of these refugees are children. Innocent Syrian families need your help! Expect entertainment by Dubomedy’s Ali Al Sayed, Mina Liccione and Jamal Iqbal as well as DJ and live music. In addition, there will be a raffle draw and the main highlight of the event is the silent auction of paintings and art pieces from local and international renowned artists. For ticket reservations, please call 055-9221772 or send an email to roberto@alivethecompany.com.